Corinthians created considerable excitement when they opened a few years back. Landscaped gardens, water bodies, Greek architecture, sandstone facades. 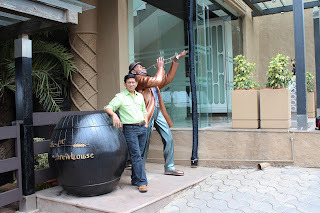 Nothing this classy had existed in Pune before. The 1st Brewhouse within its premise quickly became a must-visit destination for the local gliterati. Corinthians was like an oasis in the middle of nowhere. And therein lies the rub! To visit Corinthians, you have to drive across the city to the far end of Kondhwa, near Magarpatta City. 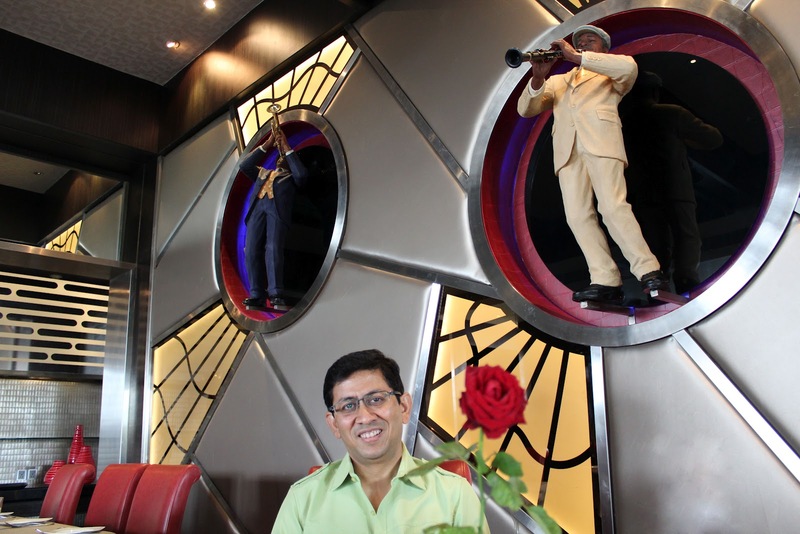 Corinthian’s website advertises Salsa as an ‘exquisite Greek restaurant’. The reality is quite different. Salsa is no longer exquisite nor Greek; they have turned it into a very ordinary ‘multi-cuisine’ restaurant. Most tables were occupied by families from the neighborhood who seemed to prefer the modest buffet on offer. Having comes this far, we decided to be more adventurous. We selected the European options from their menu and waited with bated breath. The nachos we ordered for our daughter confirmed our worst fears. 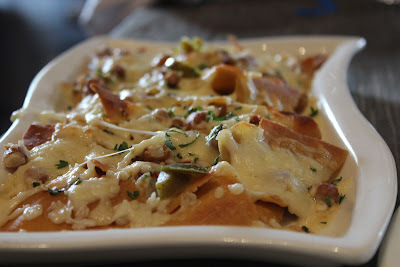 The chips were stale (even though the cheese and garnishing on them were fresh). Thankfully, the main dishes saved the day. 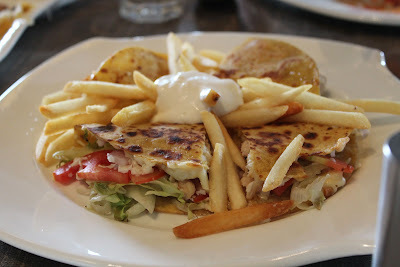 The Quesedilla was well executed and satisfying, if you weren’t looking for complete authenticity. The tastes and textures were good on the palate. 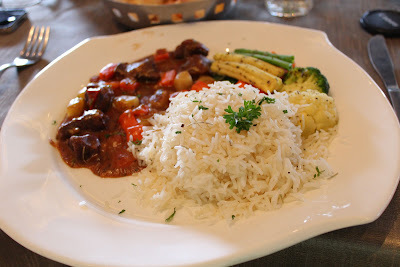 The Mutton Stew with Herbed Rice was nicely done too. Dark, thick sauce with chunks meat perfectly cooked did the trick for me. 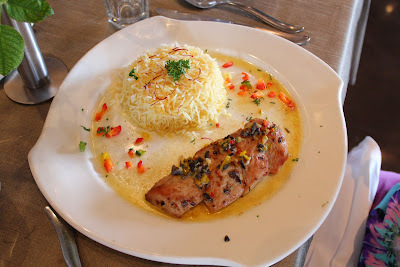 My wife liked the Chicken in a lime-based sauce served with Saffron Rice; unfortunately, I just can’t remember the name of this dish. The 1st Brewhouse located right next to Salsa seems to attract a young and hip crowd. The beer and apple cider there is still pretty good. I guess if you have driven this far, 1st Brewhouse is a better destination than Salsa. But if you live near here, the Continental dishes on the menu are executed pretty well by the chef. Up next, Malaka Street. This new eatery is owned and run by the same people who brought us the very popular Malaka Spice. Malaka Street is located in Phoenix Market City (the owner tells me another one is in the offing at Aundh). 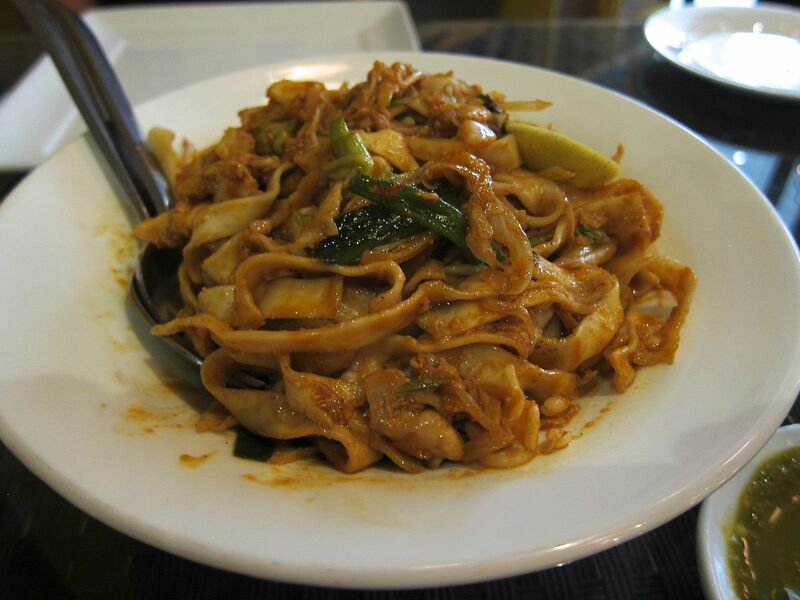 The menu contains several delightful staples from the food stalls that line the streets of Malaysia, Singapore, Vietnam and Thailand. 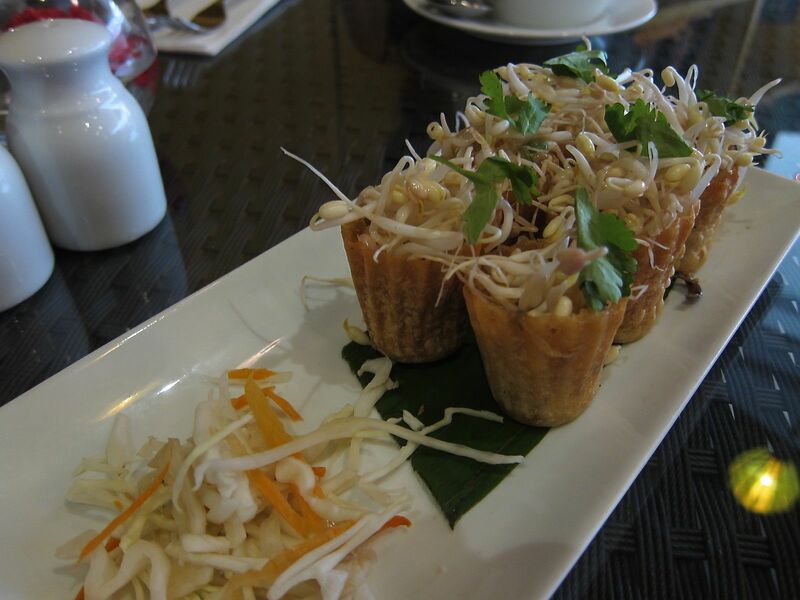 We ordered a starter of Top Hats: a thin pastry filled with meat, chopped veggies, a (soy-based?) sauce and topped with lots of sprouts. We also ordered a portion of Pho Noodle Soup. 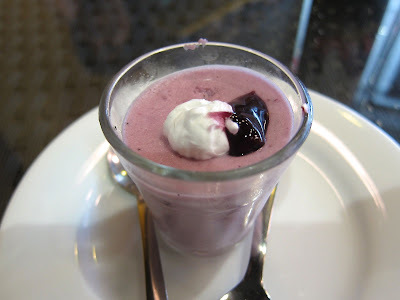 This Vietnamese Soup had been rendered quite well and was particularly refreshing. 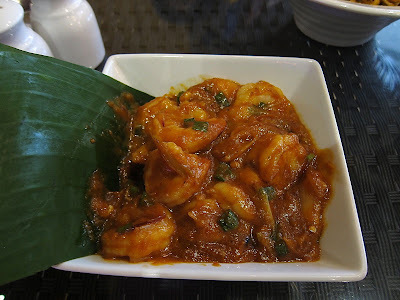 Our mains consisted of Singapore Chilli Prawns, which while localized to Indian taste was nice on the palate. The Char Que Teo, a preparation of flat noodles in chili oil, lime and bean sprouts was the only dish we didn’t completely enjoy today. For some reason, it didn’t seem to go ever well with the Chili Prawns - the drier Hakka Noodles may have been a better choice for us. 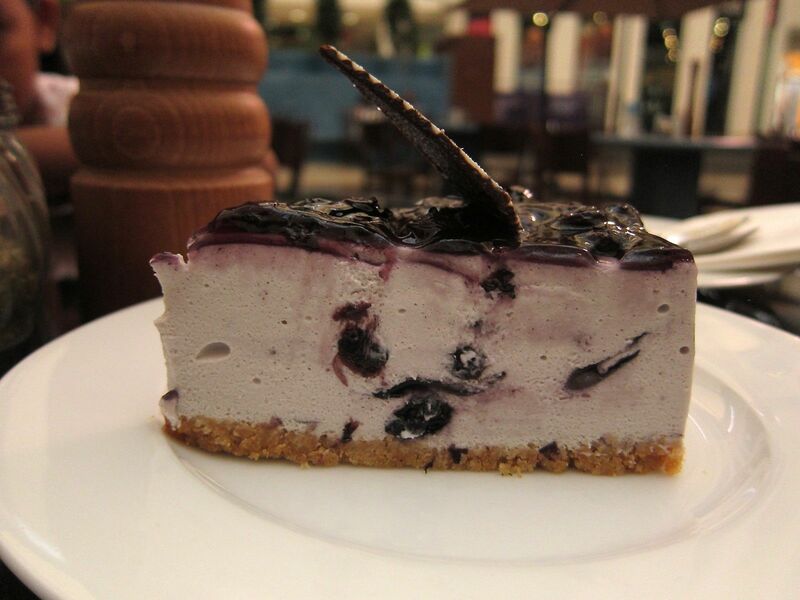 The Blueberry Mousse dessert will guarantee you leave the restaurant with a smile, so go ahead and indulge! 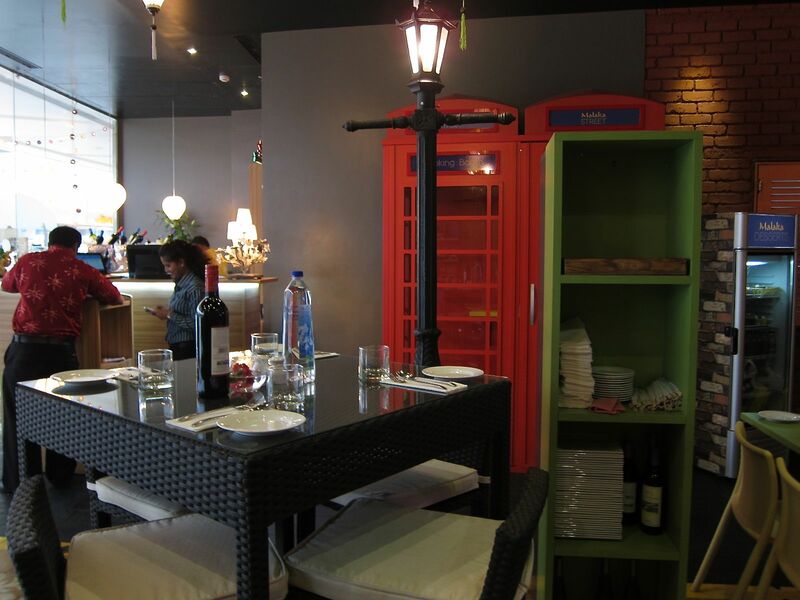 Overall, the place is cheerful and bright with colorful lamps, a rickshaw near its door, and an eclectic variety of items in the dining room that include a old-style phone booth for smokers, shelves with original art and reproductions from local artists. 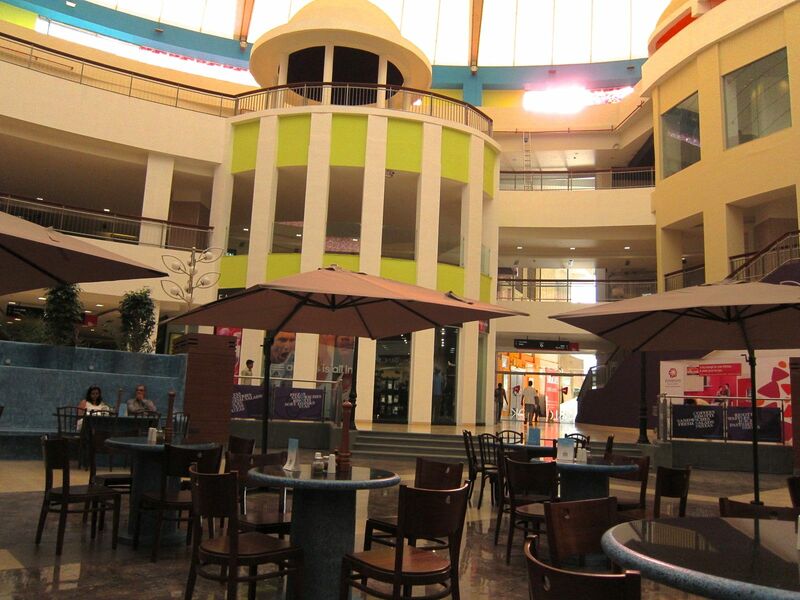 Finally, Amanora Town Center. I like the design which provides a good number of open-air shopping and eating options in addition to its closed spaces. 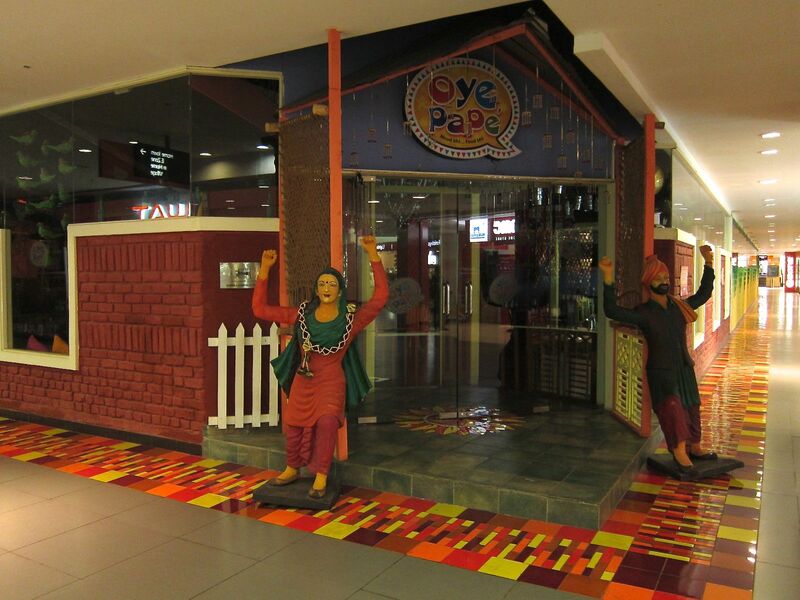 Oye Pape provides a rustic Punjabi-themed restaurant that hopes to excite you as much with its ambiance as with its food. There are charpoy tables, kitchy posters, rustic colorful banners, and even an old truck! A good place for a lunch if you are shopping here. 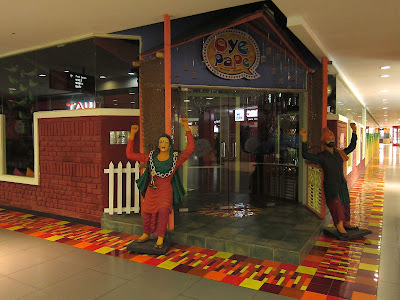 But if you are looking for high-quality Punjabi cuisine, you may be better off at Jiggs Kalra’s Punjab Grill at Phoenix Market City. Dario’s has opened a cafe in Amanora too. The blueberry cheesecake and the cappuccino I tried here were both pretty good. Overall, Amanora has a good selection of food options and there is more on the way. 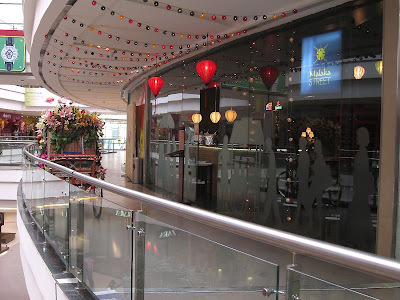 Mainland China, which is sprouting a new branch in Pune every few months, has one coming up here too! Agree with you Shantanu. Some of Pune's best, hep new joints are coming up in the so called 'outskirts' Amanora, Phoenix, etc. But haven't seen anything of value in Aundh yet. We have a travel and a lifestyle magazine called Elite Traveller. 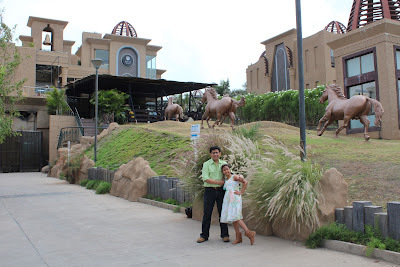 The magazine is placed in 150 plus hotels across India. We would like your contributions in it. I can courier you a copy for your perusal, please share your contact details/address. 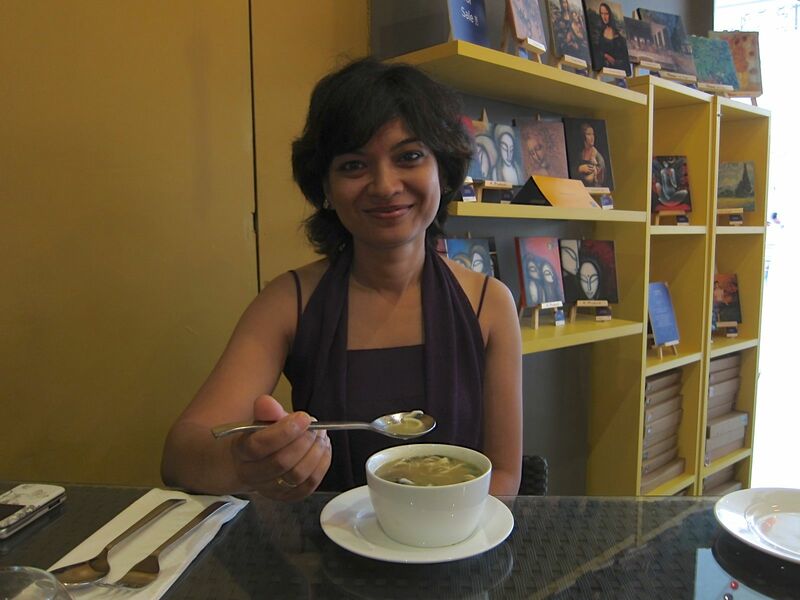 @chowder: Actually there has been quite some action in Aundh recently. Mainland China, Kiva and soon Malaka Spice. @pineapple: yes, plan to try Spaghetti Kitchen some time. Thanks for visiting here! @aditya: Thank you, but I only do this on my blog as a hobby. I know and understand that you do it as a hobby, Can we not make your hobby which is already on blogs to magazines even with your name in it which will be further interesting for you too and would be good for us too! Request you to reconsider. @aditya: I will try and call you. Thanks. Hi there, how does one get in touch with you? 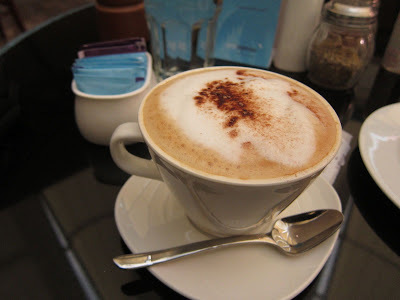 We run a lifestyle site www.conciergein.com, and would love to cross promote with you...think we could really drive traffic for each other. And we're also Pune-based! Please email us at customerservice@conciergein.com if you're interested? Think this could be a great partnership. Anon: I do this for a hobby, not to make money. Don't usually add links unless I really follow those sites. Sir, Waiting for your call!